When Calls the Heart is an American 60 minute scripted romance television series, which kicked off on January 11, 2014, on Hallmark Channel and is broadcast every Sunday at 21:00. The show is currently in its 6th season. 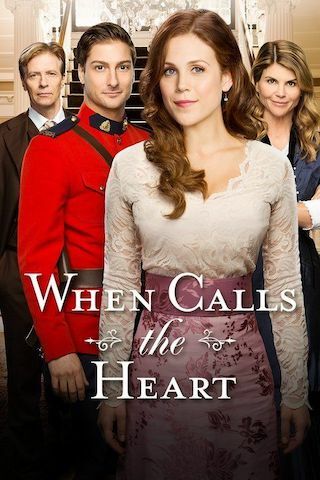 Hallmark Channel has officially confirmed the renewal of When Calls the Heart for Season 7. The exact release date is yet to be announced so far. Sign up to track it down. July 26, 2018- Crown Media Family Networks' first-ever streaming series, "When Hope Calls" (wt), is in development to premiere in 2019 on the company's SVOD subscription service, Hallmark Movies Now. The series is spawned from Hallmark Channel's longest running, most-watched primetime series to date, "When Calls the Heart," currently entering its sixth season on the network. The announcement was made today as part of Crown Media Family Networks' bi-annual Television Critics Association Summer Press Tour. November 20, 2018– When Calls the Heart returns with another highly anticipated Christmas tale in When Calls the Heart: The Greatest Christmas Blessing, a two-hour Christmas event premiering Tuesday, December 25 (8 p.m. ET/PT) on Hallmark Channel as part of the network’s #1-rated annual programming event, COUNTDOWN TO CHRISTMAS. Hallmark Channel is historically the #1 television network in all of Q4. Erin Krakow, Lori Loughlin, Jack Wagner, Pascale Hutton, Kavan Smith and Paul Greene star in this holiday special. BIG NEWS #Hearties! @wcth_tv SEASON 6 here we come! Thank you so much @hallmarkchannel!